Our Lernen-Reise: A step towards independence..
During our vacation lately, he insisted on brushing his own teeth, using the toilet himself, feeding himself.. all thanks to my friend's daughters. They were great inspirations.. 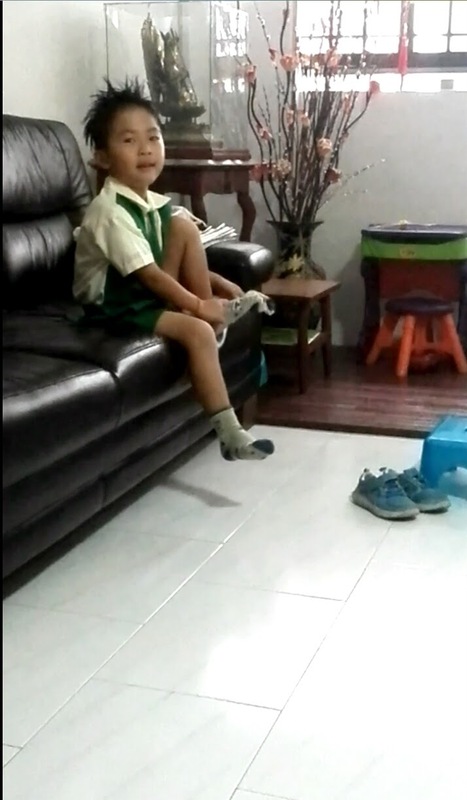 So, suddenly starting last week, he could put on his socks and shoes on his own for school.